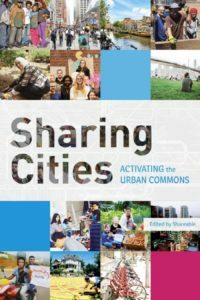 Last month Shareable wrote a great article entitled “11 Platform Cooperatives Creating a Real Sharing Economy“. It’s a really nice list of projects who are all moving in the right direction (i.e. toward greater sharing of ownership and control), but some of them aren’t actually co-operatives. Should organisations that are not co-operatives be described as Platform Co-operatives? This is a nice list of projects moving in the right direction, but many of them are not co-operatives and therefore imho by definition cannot and should not be described as Platform Co-ops. After the great Platform Co-op event organised by Outlandish I had the opportunity to hang out with Fairmondo founder Felix Weth and got the opportunity to really dig into the nitty gritty details of how they are structured and how they organise, many of which are covered in this great interview on Shareable and in the video of his talk in London. In short: a formal multi-stakeholder co-operative ownership and governance structure, open source code, financial transparency and a four-way profit split enshrined in their rules. 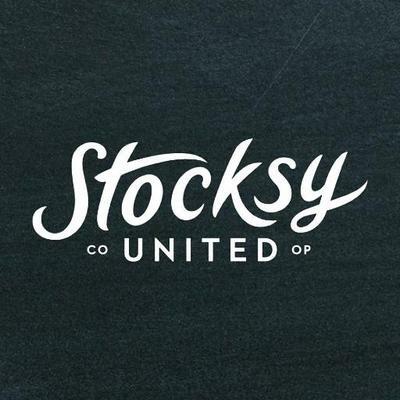 Lots more of the juicy details are available in Shareable’s fantastic interview with Stocksy’s Brianna Wettlaufer and Nuno Silva on Building a Cooperative Stock Photo Platform. Union Taxi Cooperative in Denver are a proper co-op (.pdf), part of a growing movement of taxi co-operatives. They have developed a uber-like app, but it looks so far less than 5k people have downloaded their Andriod app and I imagine similar numbers of iPhone users. You can read lots more about them and other taxi co-ops in these Shareable and YES! Magazine and Fast Co.Exist articles. Modo are a Canadian carsharing co-operative incorporated in 1997, making it the oldest carsharing organization in the area, the first carshare co-op in North America and the first carshare in the English-speaking world. With 3 different classes of shareholder (i.e. multi-stakeholder) who all hold non-transferable withdrawable shares (lots of similarity to Loomio’s Redeemable Preference Shares and Community Shares in the UK, see below), and an “asset-lock” on the distribution of any surpluses post-dissolution — a feature shared by UK Community Interest Companies, Community Benefits Societies and the wider Social Enterprise movement. The details of how all this is implemented at Modo can be found in their rules (.pdf), but in short Modo were a Platform Co-op before there were Platform Co-ops (i.e. before Trebor Scholz “gave a stray dog a name” in December 2014). Tapazz is an “official cooperative company” (a CVBA in Belgium) who have also won a prestigious Ashden Award. Under Belgium law such legal entities are required to have “equality or limitation of the right to vote” and the Tapazz rules essentially allow investors to buy up to 10% of control (it is “one share, one vote”, but no one can have more than 10% of the vote). This is a deviation from the “one member, one vote” rule enshrined in the official wording of internationally the recognised 2nd Co-operative Principle of Democratic Member Control. Personally I welcome such experimentation; steadfast commitment to “one member, one vote” often seems to go hand in hand with the outdated and misguided notion that “voting = democracy”. So-called “representative democracies”, including those found in many of the world’s largest co-operatives, sometimes turn out to be neither representative nor very democratic. 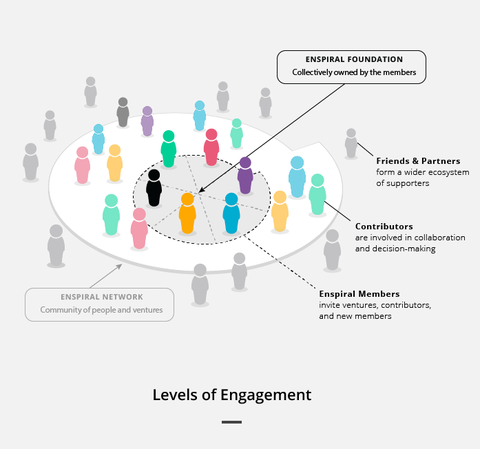 In many cases it might be more appropriate for Platform Co-ops to use more participatory and multi-stakeholder approaches to governance and management that, for example, are better able to approximate Parecon‘s nicely framed decision-making principle that “everyone should have a say in decisions proportionate to the degree to which they are affected by them“. I’ve written about Enspiral before in my Open Co-ops piece for Stir Magazine. If you’ve not already done so, be sure to read the Loomio and Cobudget back-stories and be inspired. Loomio, the open source collaborative decision-making software built by a worker-owned cooperative who are part of the Enspiral Network is being used by innovative groups all over the world including the National Assembly for Wales and SolidFund, the UK’s new Worker Co-op Solidarity Fund. They also raised USD$450,000 in ethical investment using “Redeemable Preference Shares” which share many of the characteristics of the withdrawable “Community Shares” in the UK. Cobudget was initially developed for internal use at Enspiral before being spun out as a tool for “collaborative funding for crowds with purpose”. The community that grew out of the POC21 innovation camp for open source sustainability have started to use it to collaboratively allocate funds they collect using Patreon, and the Embassy Network coliving community use it to create “a fluid cooperative dividend“. Seriously, check out Shareable’s profile of Enspiral and read everything you can about this “bold experiment to create a collaborative network that helps people do meaningful work“, including their inspirational vision for “a suite of integrated and open sourced apps which support transparent, democratic and decentralised organising“, and building a Collaborative Technology Alliance to help bring such visions to fruition. For some background and history see this video from 5 years ago by founder Joshua Vial and these great couple of talks he gave in 2014. And for all the latest see this great 1.5 minute intro, read their comprehensive and new handbook, and watch these April 2016 videos with Joshua, Alanna, Richard and Mix. 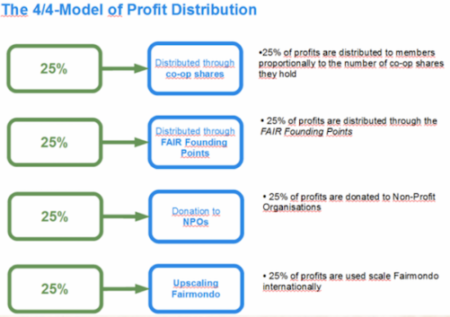 TimeFounder are trying to building “a fair and elegant equity split system” reminiscent of the Contribution-Based Compensation described in Bettermean’s Open Enterprise Manifesto (.pdf) and Open Value Network ideas, themselves arguably both a nature extension of the long-standing co-operative principles of “surpluses…benefiting members in proportion to their transactions with the co-operative”. So far it is early days but they are exploring to option of formally incorporating as a co-op using the FairShares model. The book in question is The case for FairShares : a new model for social enterprise development and the strengthening of the social and solidarity economy. VTC Cab is not a co-op but unlike the Venture Captial owned “Platform Monopolies” like Uber, it is owned and operated by an NGO which may well be democratically governed, does anybody know? Backfeed is a private company owned and governed by the two founders Matan Field and Primavera De Filippi. The plan is to become a blockchain based Distributed Collaborative Organisation which they see as “the natural progression of the co-operative movement”. That of course remains to be seen — Francesca Pick’s great series of articles about OuiShare’s experiment with Backfeed concludes: “tools for decentralized coordination with blockchain are still quite unreliable and far from being ready to use” — but such experimentation is something to be celebrated nonetheless. Backfeed are not a co-op, but the software and ideas they are experimenting with and exploring could well generate valuable insights for many future cooperators. No, actually we are incorporated as a privately held ltd, with @MatanField and @yaoeo as founders. @Backfeed_cc @jdaviescoates @Shareable love that you two are chatting & great comments too. Made changes to the story based on them. UPDATE, May 26, 2016: We’ve gotten a few comments that some of the above selections aren’t cooperatives in the strict legal sense. That is true. Some companies are in the process of becoming cooperatives (or blockchain versions of that like Backfeed), operate with cooperative principles (Enspiral), or are sharing the wealth more than their tech peers (Juno and Peerby). We want to point out and encourage a trend toward more sharing of value and power in tech companies. We, like others in the sharing community, use the term “platform cooperative” in a non-legal way to encompass such efforts. We, like others in the sharing community, use the term “platform cooperative” in a non-legal way to encompass such efforts. I don’t really see it being misused like that and if it is being used like that we should try and nip it in the bud now while we still can. I much prefer this perspective from the good people at Gratipay; they are very much moving in the right direction and are very closely aligned to both the Platform Co-op and Open Co-op visions, but are in full awareness that they aren’t quite there yet. Peerby started life as a sharing platform but in response to user feedback and in search of large investment and growth they created Peerby Go to a on-demand rental platform that includes delivery in 30 mins or less. Amsterdam-based local sharing platform Peerby raises $2.2 million over the course of a weekend from 1051 crowdfunders through Dutch sustainable crowdfunding platform OnePlanetCrowd.com. This amount surpasses the total amount of venture capital the startup received during earlier funding rounds, making the crowd the largest shareholder. We (Peerby.com) are very happy to announce that our members are now our biggest shareholder. But if you dig into the details just a little deeper, it seems users are not the majority shareholder class; the founders and employees still own the most shares. Their $2.2m investment means users have now invested more than any other non-founder/ employee investors have, but they aren’t actually shareholders at all yet! The crowd is the biggest investor. Bigger than angel, VC and PE. Most shares are still held by founders and employees. I consider this one of the first exciting step towards exploring the possibility of being a true crowd company. Is it simply broader-based ownership of one $, one vote type stock, or is this a signal of the company moving towards real cooperative ownership (one member, one vote, regardless of capital investment, with surplus distributed on a patronage basis)? We don’t know yet. We’re taking it one step at a time. It’s currently a loan note, so we still have time to come up with what rights the shares will have after conversion. Peerby are neither a co-op nor Platform Co-op. But there are a BCorp. Juno founder Talmon Marco is quoted as saying “what’s important is that drivers are not just driving, they also own the business” and according to another article “by 2026, drivers will own 50% of all founding shares in the company“. This sounds great on the surface, but to me it translates to “drivers don’t actually own anything right now, and will never own a controlling share”. Not very co-operative. Taking a 10% cut of fees and given any ownership to drivers is still a lot more generous than Uber’s ultimately more exploitative model (20-25% cut, no ownership), but a Platform Co-op it does not make. 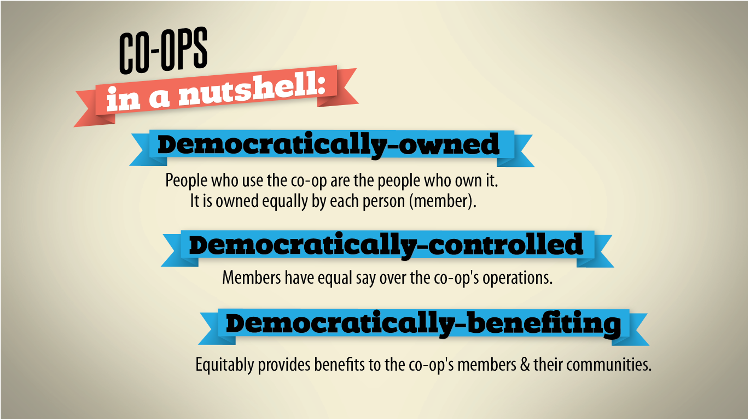 Regardless of legal structure (there are actually plenty of unincorporated co-ops), the key thing is that to be considered a co-op (and therefore a Platform Co-op) you ought to uphold the internationally agreed co-operative values and principles. We should celebrate and support real platform co-ops like Fairmondo et al who are genuinely (and passionately) co-operative (and in the case of Fairmondo open source to boot! not just a Platform co-op but an Open Co-op, even better!) in order to encourage others like Peerby and Juno to take the full leap and go the whole hog (although my bet is it’s both structurally and culturally too late for either of them to actually do so). Ownership really does matter. A lot. And allowing “Platform Co-op” to mean “a company started by nice people with good intentions who also built an app” will result in the term quickly becoming meaningless. Perhaps ultimately we’d like to transcend the whole concept of ownership and move onto something more akin to stewardship, but given the laws that exist at present that isn’t really very practical right now. And for the record, the argument often made in ‘Reinventing Organizations’ and ‘Teal’ (not the new black) circles — that having enlightened investors with a more highly evolved consciousness side-steps the whole ownership issue — is, well, laughable. And dangerous. Watch out! (but do read still read the book for it’s many useful and fascinating findings). Absolutely agree. As John Abrams of the South Mountain Company put it in his book ‘Companies We Keep’, giving the workers in a company “democracy” without giving them “ownership” is like “giving” someone a car but not giving them the keys. Paying people in stock instead of wages is a cop-out too. It’s the opposite problem, giving workers a set of keys, but not actually letting them drive the car. Both shared decision-making and real path to shared ownership (not instant, but not an empty promise never realized), are equally essential to real cooperatives, including platform cooperatives.